The team of scientists led by Dr. Michael Lammers at CECAD, the Cluster of Excellence at the University of Cologne, has discovered that the essential cellular protein Ran is fundamentally regulated by lysine acetylation. Ran belongs to the family of Ras proteins, which regulate fundamental cellular processes such as cell differentiation, cell division, and intracellular transport. Mutations in Ras-related proteins are involved in the development of various types of cancer including colorectal cancer, lung cancer, and lymphomas. Mechanisms that can switch off the functions of Ran protein are therefore of particular therapeutic interest. Dr. Michael Lammers and his research team at CECAD have identified new regulatory mechanisms for Ran protein. 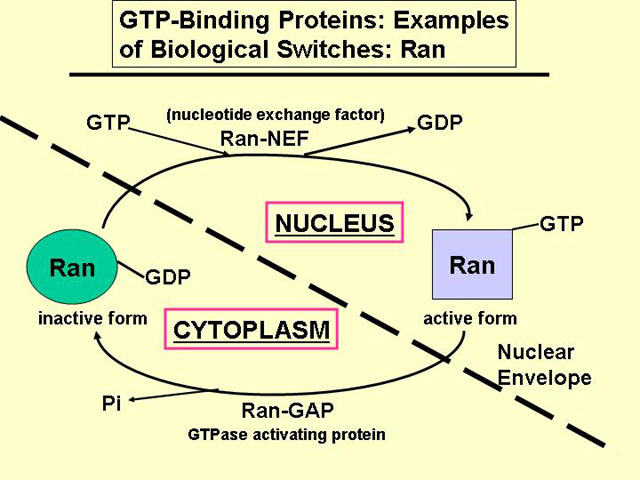 They have shown that all essential functions of the small GTP-binding Ran protein can be regulated by lysine acetylation. Ran is involved in many important cell processes including cell division and protein transport. Dysregulation of these processes has dramatic effects on normal cell development. Many types of tumor cells have increased concentrations of Ran or Ran-interacting proteins or Ran-regulators. Switching off Ranfunction in a targeted manner, using the newly identified regulatory system, may provide novel therapeutic approaches. The small Ran protein is a molecular switch that can be turned on or off depending on the nucleotide charge. If this switch protein is not regulated properly, there may be far-reaching effects on essential cell functions. Using high-resolution quantitative mass spectrometry, it has recently been shown that many of many of the amino acids – the lysines – in the Ran protein can be modified by adding an acetyl group. Cancer is the second most common cause of death in industrialized nations and responsible for about 25% of all deaths. The risk of malignancy increases with age – which means that research into the development and treatment of cancer is of great economic and personal interest in an aging society.